Air University Islamabad Admission section is positioned in the vicinity of the Margalla foothills in the southeast place of sector E-9 (PAF Complex) of Islamabad. 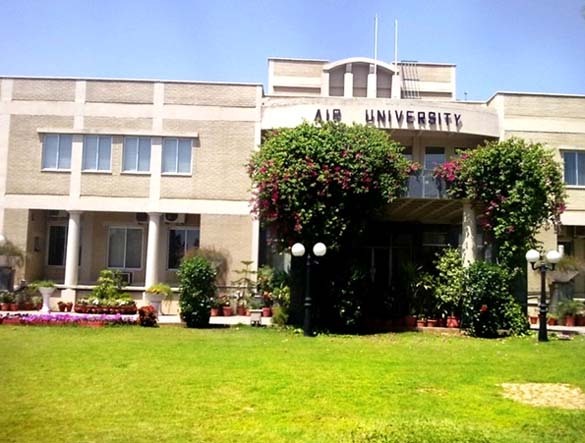 Air University Islamabad main entry is surrounding to the intersection of Agha Shahi Avenue (9th Avenue) and Khayaban-e-Iqbal (Margalla Road). Air University Islamabad, PAF Complex, Sector E-9, Islamabad. Please note that once the required numbers of Applicant’s join the University, the Following merit list(s) will not be announced. All merit lists and related announcements will be displayed on the Air University’s Website. MS Engineering and MS Mathematical Modeling & Scientific Computing candidates are not required to appear for the Admission Test. Result awaiting students are also eligible to apply. Submit hope certificate from the hssc institution. GAT (General Test) must secore at least 50% Marks. Be sure GAT test must passes before apply admission for MS Program. Final selection of students list will appear after interview. AU admission 2017 online through link provided by university. Now Air University Admission online for students to apply and submit application form. First see your program eligibility for BS, MS and Ph.D than apply for admission. Here is address for apply online. AU Multan Camps, 82- Abdali Road, Khan Centre, 3rd Floor Multan Cantt. PAF Information & Selection Centre, 217-Sher Shah Road, Multan. PAF Information & Selection Centre, M-14 Munir Road, Lahore. PAF Information & Selection Centre, 9th The Mall, Peshawar Cantt. PAF Information & Selection Centre, Mall Road, Adjacent to PSO Pump, Rawalpindi. Bank Alfalah, F-10 Markaz Branch, Islamabad. Fee Structure is update version of 2017 from university. Applicant’s must be submit there fees before due date otherwise admission will not consider. Thanks for visiting our site which is compatible of Universities Admissions and details. We provide the best information about Air University Islamabad Admission 2018. For Admission Air University you want to know the eligibility criteria for which course. List down the course then we will guide you in detail the admission procedure and eligibility criteria. Yes, SOban if you get Prospectus from PAF Select Center than you only pay fee one time. Sir my DAE total marks 65% I am appling for civil engg? Is their any option to apply online ? nd agr nae hy to me sialkot rehta huun mujay prospectus or admission form kahan say milay gaw? plz guide me ..
Dear Saud You apply online through this link Online Admissions. Click this bar and go for online registration. Yes, you get admission in Electrical/Mechanical Engineering and Computer Science. Hasan when you apply than in admission form you selected programs according to priorty wise. In this you select course more than one department. You apply online through Official website. Can i migrate and can transfer my credit hours to Air University ! Yes, you transfer your credit to other university with this same courses. But for this valuable information you concern with student affairs and admission department of Air University. I have not confirm the merit of last year in Air University for Electrical Mechanical. But if you secure good marks in entry test than easily get admission in one course. M.Phil in Mathematics is not offered by Air University. mai .kya usy b.sc civil mai admission mil skta hy.admission kb hoty hain or per year expenses kya hon gy. I am a girl and I am planning to apply to air university . are there any girls over there and whats there ratio ? moreover is the university good enough for future job placements ( mechanical engineering )? Air University is good for Mechanical Engineering and ratio if girl in mechanical is too low. But it’s not matter that how many girls study in Air University for mechanical engineering if you have interested than go ahead. Secondly, you ask for job placement. Then I ask one thing to you when put your C.V in the market then market only one time check you institution name and then ask to explore yourself. How you are skill in your degree. Then organization not giving you a job on the base of University name. Company preferred your skills, abilities and knowledge. Your experiences , you ideas emerging ideas and developing strategy for the company. So, Finally, if you have knowledge, skills and abilities than you easily find a good job otherwise not. Air University only groom yourself in 4 Years and after that its on you. How you will be perfect or ideal for market. Hope you clearly understand the view of job placement in the market. is there any difference in jobs matter with student who study in PIEAS NUST AIR OR GIKI . When you come for job in any organization than first organization prefer you institutions names but after this company ask you to explore yours skills how you are beneficial for our company. Then at this time your knowledge, mind level, abilities show how you will be important for his company. Either a student is from NUST, GIKI, AIR or PIEAS. If you go for any than company 90% prefer your own skills and 10% prefer your institutions names. Finally, polish yourself with new and current market. NUST, GIKI, Air and PIEAS not give you a jobs they give you a way, knowledge how to circulate in the market. So, its all depends on you. m rahila from azad kasmir i want to take admission in MS plz let me know the admission date for MS and further more that is there NTS test stil require fr MS ? Air University not accept NAT test for admission in MS Engineering. For MS Admission you have 50% score in GAT test conduct NTS. Sir, can you please tell what is the eligibility criteria for Business Administration Dept? And do they offer Bachelors in Social Sciences? Please write back soon, Shall be very Thankful to you for this act of kindness. You must have 50% marks in HSSC for admission in BBA. Sir! what is the admission procedure by mail? 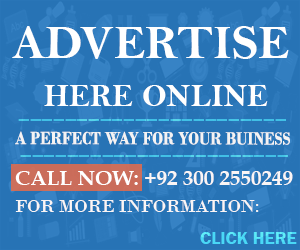 Get Prospectus and pay Rs 2100/- in favour of Air University, Islamabad and after sent to Air University Islamabad and must mentioned the concern department. NO, dear there is not any other chance for you to again apply for adission in Air University. You apply in spring admission of Air University. Sir,i have 72% in hssc part 1 and 75% in matric howmuch marks shall i score in entrytest of Air university to get admission in BS(electrical,mechanical,mechtronics)engineering. What was previous year closing aggregate as i have heard that it was not more than 60% aggregate is this true? second merit list kya lagy ge? agar lagy ge to kub? 2nd Merit list should be display on 24th July. Dear, you go to official website and enter your admit card number and see the merit list. Air University not pay you fee back if you want to transfer or migrate to other university. For this problem dear zeeshan you concern with admission cell in the university and get extension in fee submission date. JIN KA LKHA HUA HAI AP FUTURE ME APPLY KARE UN KA KOI CHANCE HAI 2ND MERIT LIST ME. You wait for 2nd merit list. Don’t ask any exact figure. Air University offered many courses at BS and MS level. You want information regarding which course. For this issue you went to the University and ask problem to the admission cell of the university. Then admission cell will give you extension in fee submission date on your valid reasons. sir can u tell me the names of engineering unis in lahore which offer spring admission(nov-dec)and are recognized by pec . Air university not offered Engineering programs in spring admissions. sir can u please tell me the names of engineering unis in rawalpindi and lahore whi do offer engineering programs in spring admissions.I will be very thankful. sir can u please tell me the name of unis in rawalpindi and lahore which do offer engineering programs in spring admissions.i will be very thankful. Sir my name wasnt there in 1st merit list for Electrical eng but 4 or 5 days later I got a call from air university nd the person asked for my father’s rank(he’s retired from PAF)is there any chance tht my name will be in 2nd merit list? If a person call you for father rank then see the any reserved seats for the wards of PAF retired persons. So, let see the 2nd merit list. Sir kya spring admsn me engenring k b admsn open hoty he? Agrecate bnany ka formula kya he? Dear, University not offered Engineering Admission in Springs. Secondly your FSC Marks is 50%, Entry Test Marks 40% and Matric Marks 10%. may cecos universtiy peshawar se migration karna chahta ho to air university discipline BS (telecom) i am in 3rd semester. here is any chance for me ??? If you want t get migration from CEOCS University Peshawar to Air University Islamabad then you will get information from admission cell of CECOS University. Admission cell will guide you in detail regarding this. Sir kaya Air uni me BS maths karwatay h n agr ha to Spring admision kb open ho rahay for Bs maths ! !kndly tel when u read this? BS Maths is not offered by Air University Islamabad. Do you offer MA program for psychology , international relations? Air university not offering MA Psychology. SIR WHEN WILL U START M.PHIL ENGLISH?????????? sir when will u offer m.phil english????????? When this program is offered by Air University then we have updated on the website. When M.Phil admission start then we have updated on the website. Dear Sir i have done DAE (mechanical ) and b tech n now doing b-tech hon’s sir please tell me that is there any exemption after b tech hon’s for me if i want to enter in Bsc engineering . If you want to enter in BS Engineering. Then you will get admission on the base of DAE Mechanical. Sir, when will start the admission in MS in HR and Finance? Admission For MS in HR and Finance will be closed now. Last Date of Form Submission 16 Dec.
a.o.a sir for engineering when admsn will open??? Engineering admission will open in the month of June/July 2015.
sir please could u tell that how many seats r there for m.phil english progrmme? sir how many seats r there for m.phil english literature ? Yes, you will eligible to apply in Air University after passing FSC 2nd time with good marks. Yes, you will eligible to apply but Such candidates are required to submit an Equivalence Certificate issued by the Inter Board Chairman Committee, Islamabad before the semester starts. This certificate must indicate the marks equivalent to marks in Intermediate. You apply in Air University on the base of Hope certificate. sir please bta dean k semester system maen first division kitny percent marks py start hoti hy ? sir please bta dean k semester system maen first division kitny percent py start hoti hy ? Sir is Air university is a paf university? And when will be ms admission start in air? Hi I am doing BS(Software Engineering) kindly suggest me a field in PAF related to my degree. sir ms electronics ka admission kb open ho rhy hain??? ?